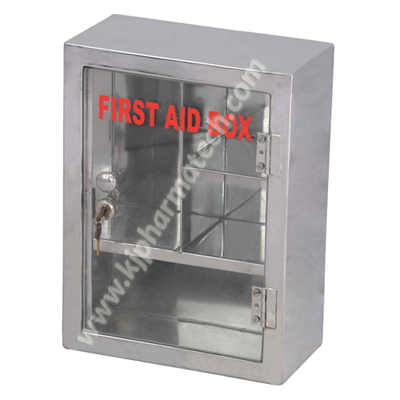 We are highly trusted manufacturers of First Aid Box in India. These are ideally designed by our professionals to ensure they promote outstanding organization of the medicines and first-aid items, so that they can be grabbed handily as and when needed. These are robust and so reliable yet light weighted and so easy to carry. We offer them different sizes and designs with locking arrangement for the safety of the items stored. These are corrosion and rust proof and very hygienic for sanitized storage and have smooth finishing as well. Above all they have very good durability and can protect the components stored very well. These are hence regarded as one of the best emergency tools. We offer them at affordable costs. Our first aid box products are supplied to several different cities such as Jaipur, Nagpur, Mumbai, Indore and Bangalore.